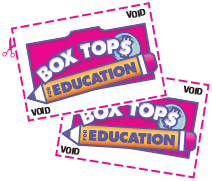 Box Tops for Education is a program that helps to support education and benefit America’s schools. By clipping Box Tops from grocery products and sending them to your school of choice, you can help schools earn cash to buy the things that they need. Learn more at BoxTops4Education.com.